Roto Rooter Plumbing Services: Residential and Commercial Plumbing, Leak Detection, Water Heater Installation, Trenchless Sewer Replacement, Drain Cleaning Clogged Drains in San Francisco, Daly City, Brisbane, Bay Area, and Colma CA. Your best choice for plumbing services. Roto-Rooter Plumbing is your best choice for professional plumbing services for your home or business in San Francisco, Daly City, Brisbane, and Colma, California, and all surrounding areas. Our professional plumbers are available to serve you 24 hours a day, 365 days a year. When you call Roto-Rooter Plumbing looking for an emergency plumber, we will quickly dispatch someone to your location. We offer up-front pricing on our all our work, and everything we do and install is backed by unsurpassed warranties. Make your plumbing in San Francisco easier; contact us today for a quote and let your troubles go down the drain. Let us take care of that clogged drain. 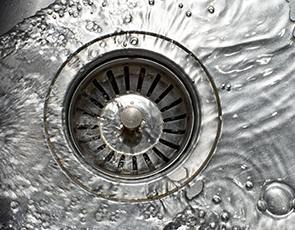 Roto-Rooter Plumbing is your best choice for professional drain cleaning, so if you have a clogged drain, make us your first call! 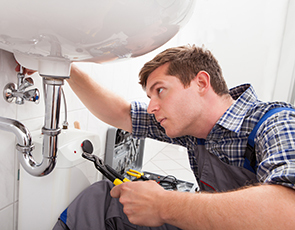 Our highly trained and skilled plumbers offer a full range of services for residential plumbing and commercial plumbing. No matter what your plumbing needs, we’re here for you! Whether you’re in need of leak detection or installation services for your water heater, a running toilet in your home or maintenance for your waste system in your restaurant, Roto-Rooter Plumbing has the professional staff to get the job done. Our team of San Francisco plumbers understands that your time is valuable. Call us for an appointment, and we’ll arrive promptly with the required equipment to provide the services you need. 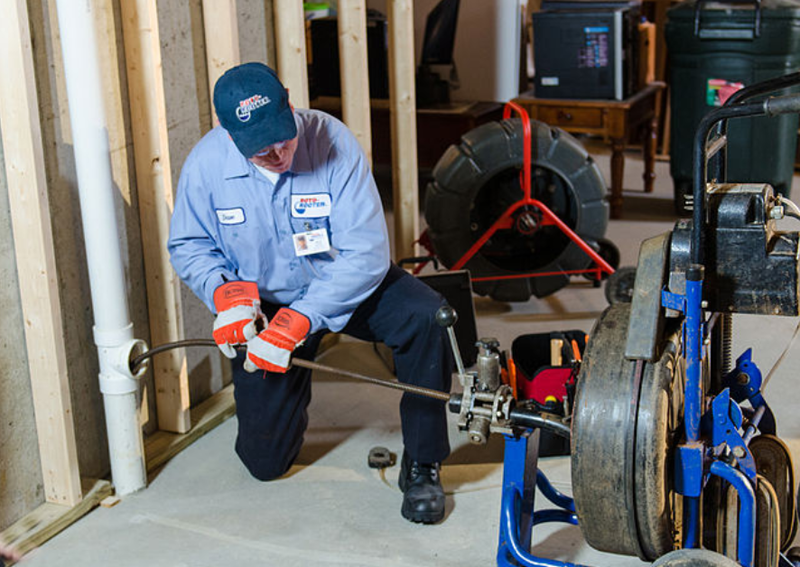 Roto-Rooter Plumbing specializes in trenchless sewer replacement. If you’re looking for an environmentally friendly, low-cost solution to replacing your old, clay sewer line with a new polyethylene pipe resistant to root intrusion and leaks and with a longer life expectancy, look no further than Roto-Rooter Plumbing. Our technology preserves yards, driveways, and parking lots. We use your old sewer line as a guide, using a hydraulic machine to pull the replacement pipe through, breaking up the old line in the process. We don’t require any of the expensive equipment necessary to dig up old sewer lines, and we can do the work in a fraction of the time. 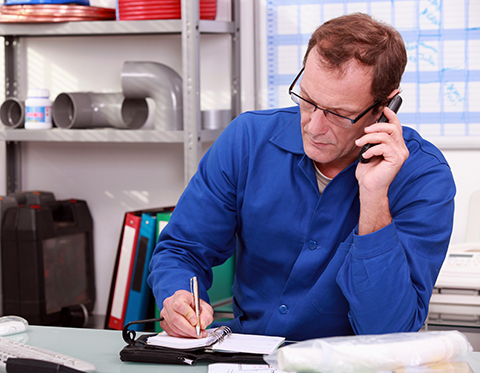 Roto-Rooter Plumbing can replace your sewers economically, without sacrificing quality. 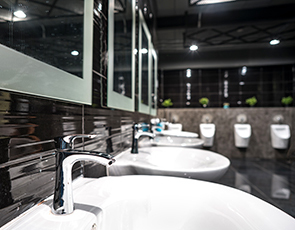 Call us today for all your residential plumbing and commercial plumbing needs. We’re your first choice, any time of day, when you need a plumber. Contact us for plumbing services in San Francisco today. doing something right! The plumbers did a great job repairing my toilet. --and they were there within an hour. Great service, right on time, nice people that are easy to work with. Ray's team of expert technicians have always been there to save my neck when a resident called in to report a drain stoppage in an apartment or on the building premises. The guys do a lot more than clear drains; they have a strong knowledge of water supply, venting, and drainage systems for all property types and scale. Needed an emergency installation/repair on my shower head and faucet that was in perma-leak mode. Roto Rooter were the only plumbers that would come out after 5pm, assess and fix. Mike, our plumber, was punctual and professional.